The FOX series based on a young Bruce Wayne and the villains of Gotham City won’t end before an appearance by the Dark Knight. 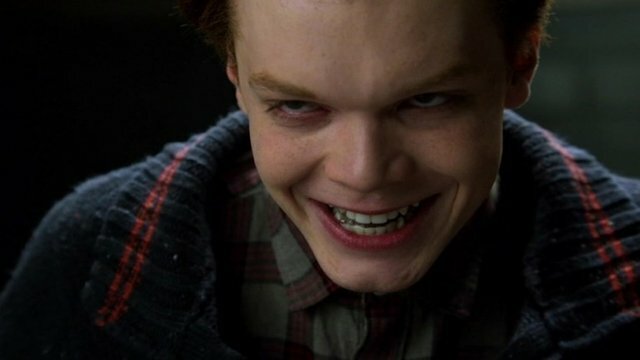 Heroic Hollywood shared Gotham actor Cameron Monaghan’s tweet teasing Batman’s emergence. “Yes,” simultaneously answers one question and creates many others. Monaghan first appeared in season 1 as Jerome, a proto-Joker. In the fourth season, Jerome perished and Monaghan continued as Jerome’s twin brother, Jeremiah. Monaghan’s performance has consistently been acclaimed as one of the best reasons to watch Gotham. His portrayal as two young men spiraling further down into madness is a perfect counter to Bruce Wayne (David Mazouz) discovering his own true self. This dichotomy of good and evil makes Monaghan’s other recent tweet all the more chilling. FYI J’s final appearance on #Gotham is vile, vicious, nightmare-fuel horror and is everything I love about this character. Stoked. It is currently unknown how Batman will appear on Gotham. He could show up multiple times or once at the very end much like the finale of Smallville. However Batman is introduced, the wording of Monaghan’s tweets could be promising. Monaghan very pointedly refers to “J’s final appearance” instead of Jeremiah or Joker. The earlier tweet asks if “we get Batman.” Monaghan might not be saying that the fans will get Batman. Instead, they might get the Joker himself. Gotham debuted in September 2014 as an alternate take on Batman’s origins. The show debuted as the story of a young Bruce Wayne growing into Batman. Over five seasons the series showcased the Dark Knight’s iconic villains and allies as they battled for control of Gotham City. Gotham begins its fifth and final 12 episode season on January 3, 2019. What do you think of Monaghan’s teasing tweets? Will we see a new iconic battle between Batman and the Joker? Let us know in the comment section below.